The FMFQ series pneumatic controlling flour milling equipment is the main machine in wheat flour milling line. It includes steel material upper and cast iron base bottom parts. Its feeding system adopts modularization design, which can be moved out completely for maintenance. The feeding system can also be driven separately for roller distance adjustment and the roller is highly sensitive for adjustment. The bottom parts can be custom-made according to customer requirements: electrical controlling set, pneumatic controlling set, four roller mill and eight roller mills with roller diameters of 250mm, 300mm, etc. The FMFG series flour milling machines adopt the latest technology with brand new construction and perfect performance. It is applied to produce wheat flour, starch flour, grain milling and grinding. The rollers have high rotation precision, accurate roller distance adjustment and feeding, as well as flexible feeding method. This series flour mill grinder also has low noise, no vibration, and no environment pollution. Therefore, it is best for small and middle scale flour mill plant. 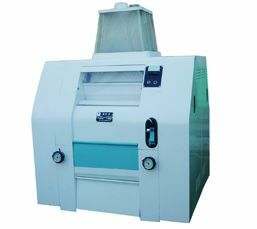 6F series flour mill machine is a kind of one-side inclining small scale flour mill. It adopts rolling bearing with low friction, low energy consumption and high efficiency. The compact structure and easy operation makes it fit for single use or used in joint flour processing unit. 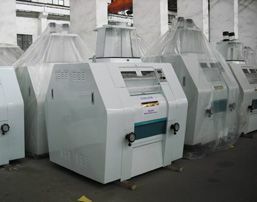 This flour milling equipment is mainly used for processing raw materials as wheat, maize, buckwheat, broomcorn, etc. 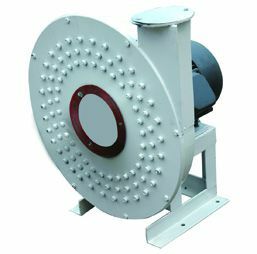 FSFZ series impact detacher is auxiliary equipment for flour mill. 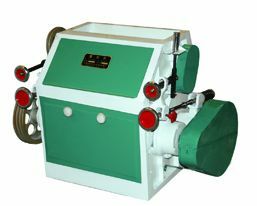 It is used to hit the materials from core mills and slag mills and to make them loose or separate germ from grain peel. By this hitting process, the extraction rate of flour can be higher. The compact and brief design makes this impact detacher easy to install and place saving.